Founded in 1976, the story of BOY is a true one off, in that that the wildest rumours and legends that surround it couldn’t hope to compete with the reality. 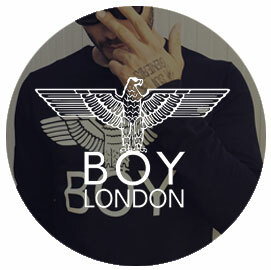 Beloved by the underground, but frequently courted by an overground hungry for a piece of BOY’s trademark attitude, it remains the label that everyone wants in on. The rich history of the brand inevitably reads like a ‘who’s who’ of fashion and music.